Domino’s became a $1.4 billion company with bad pizza because they hit on a great niche with a great brand slogan “30 minutes or it’s free”. Apparently, their customers liked bad pizza, never cared and/or just wanted fast delivery. Now, they abandoned their brand and have to compete on taste. But after trying it yesterday, I don’t think that’s going to be successful. Even more egregious, I just received an astonishing email from FedEx. What do you think of when you think of FedEx? Probably, the same thing I do. Reliability. 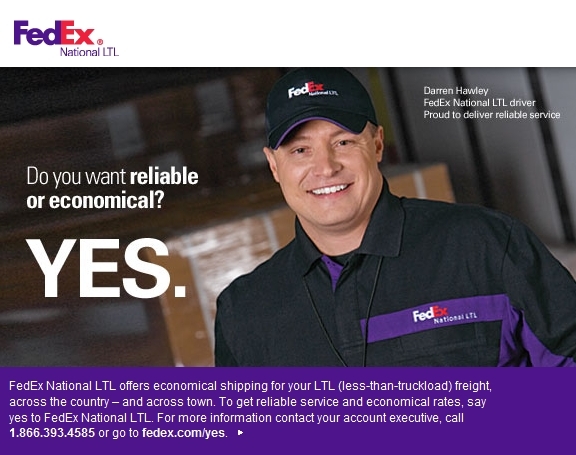 Now, FedEx is offering an alternative to reliable delivery. Cheap and unreliable! The e-mail which you can see below asks “Do you want reliable or economical?” Which one do you want?